From the checking-in ‘ til check out the staff arw so helpful and accomodating and answering all our questions. 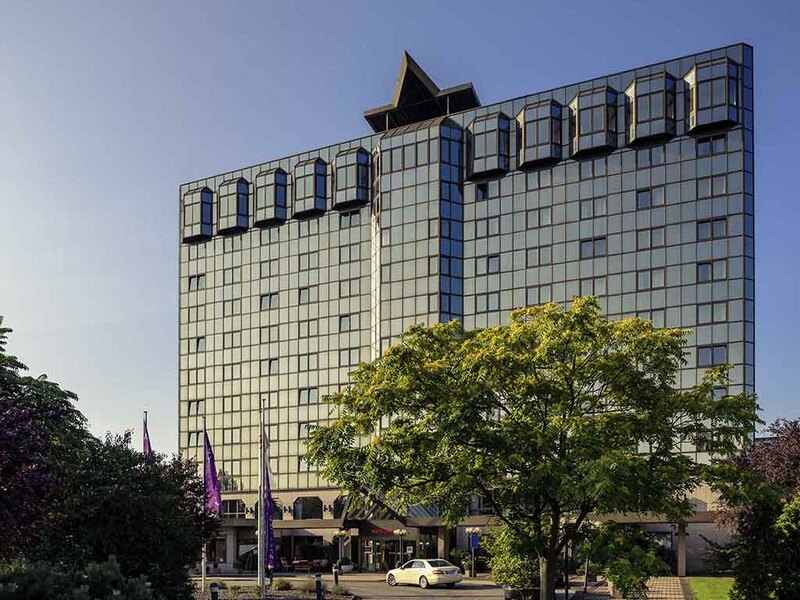 My first visit to Koblenz and your hotel. I would definitely stay there again if/when I return to Koblenz,. Very nice bedroom and excellent breakfast. Staff helpful and smiley. Dear Guest, Thank you for taking the time to tell us about your experience at our hotel. I am sorry that your experience did not meet your expectations; due to a fully booked hotel and your arrival in the morning, we charged the early check in. At Mercure, we strive to provide a superior service experience for every customer; therefore your feedback is very important to us. We appreciate your sharing your concerns, and it is our hope that you will give us the opportunity to better serve you in the near future. Kind regards! Dinner Monday and Tuesday we were very noisy with construction work going on in the bar area. Power tools were used throughout the evening. Also Friday night there was an event at the hotel that included mini golf throughout the hotel including guest hallways. Again noisy and disruptive (I had to wait in the elevator area on my floor so players could finish.) Hotel under construction, but your rates did not reflect this (down). Efficient hotel with certain comfort but lacking certain services. Bar is under construction so I could not get a drink. Also tried to exchange currency at the front desk and could not. Also couldn't have the bill charged in my home currency (USD). Dear Passenger, Thank you very much for your great feedback - hope to welcome you soon again - kind regards! Not informed HRS bookings are no good for leclub despite question that last stay was not listed. we were very happy with the service we have received, the staff was friendly and helpful, the room was a clean and spacious one, very good bathroom too. The breakfast menu had variety. And the price was reasonable. we were very pleased with the accommodation, location, staff and price. We have occupied a family room, the rooms were spacious, clean and the staff was very helpful. The breakfast menu had variety. We would most definitely recommend the hotel and if a possibility, we will stay there again. Daer Ninnskii, Thank you for your kind feedback - hope to welcome you soon again for another stay with us - kind regards and happy New Year! The stay was OK. The room was big enough, although the toilets was quite small with corners that made going in and closing the door uncomfortable. Major construction work was going on which made a lot of noise during the afternoon we were there. Breakfast selection was very good.